﻿ MCN Fleet: Can the R6 be tamed? My relationship with my Yamaha R6 can be described as rocky. She has thrown me out of the seat on more than one occasion and the bars have shaken their disgruntled head a few times. My Yam is a little lively when I start to make full use of the 114bhp and edge towards 16,000rpm. The stock fully adjustable suspension isn’t plush enough – it’s too harsh. When ridden at speed the rear kicks like an angry mule and the front bounces over bumps. The standard set-up isn’t bad. But I’m just not clicking with it, which is why I chose to visit the experts at K-Tech Suspension. I’ve used K-Tech before at the TT on both my Superbike and Supersport bikes. If they can make a bike work around the TT, I’m sure they can wave their magic wand on my stock R6. 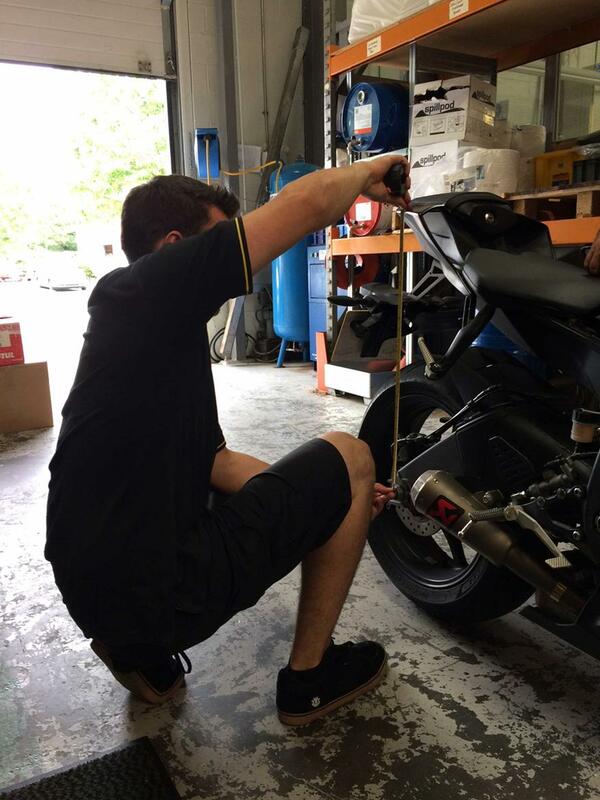 K-Tech Suspension technician, James Harpham, identified the problem immediately. The rear only had 5mm of sag, which isn’t enough. This was causing me to be thrown out of the seat. We removed the preload and set the sag to 13mm. We also increased rebound and compression to give more control. Rebound is now set at three and compression at four, instead of nine. The front forks, which are near identical to the new R1, weren’t too bad with the static sag set at 30mm, which is about right for the road with the fuel tank ¾ full. But, again, there wasn’t much control. We set rebound to three and compression to four, both were set at 13 previously. What an amazing transformation. My R6 is now controllable, there is far more feedback, the rear no longer kicks over and bumps and stability has been increased. It’s a totally different bike. I’m now able to hit unfamiliar sections of road with confidence. Comfort has also increased, the rear now absorbing imperfections, no longer smashing them into my lower spine. On track we may need to personalise the suspension further, especially if we fit more track focused rubber – but for fast road riding we’re now clicking. Our relationship is back on track (and road). 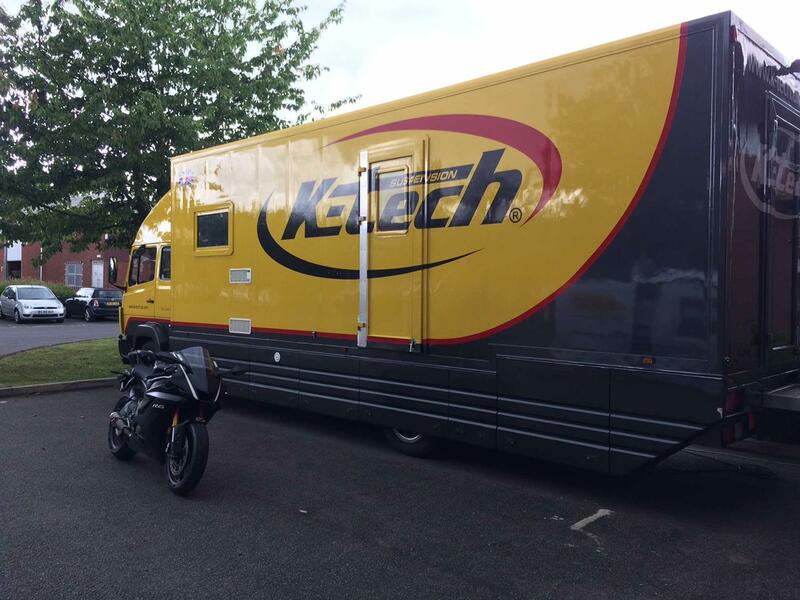 K-Tech offer a ‘ride in/ride out’ service at their HQ in Moira, Derbyshire. Simply call K-Tech, book your bike in and for £45 (plus VAT) they’ll set your bike up in less than an hour. Simply tell them know how you ride, where you ride and what you want and they can personalise the set up to your taste. It’s a good idea to know your weight and your pillion’s if you want the bike set for two-up touring for example. For more from the #MCNFleet17 visit MCN's Fleet section.